Quirky Jessi: Less than 700 days until the World Beard and Mustache Championships! 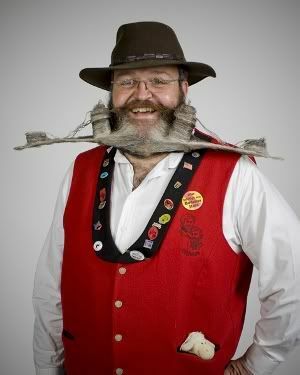 Less than 700 days until the World Beard and Mustache Championships! Oh my god! You're already working on your beard, right? Right? After all, it's going to take a while if you plan on competing with any of the guys shown on the championship site. With 18 different categories and several years worth of winners, there truly are some amazing 'staches and beards there. No Kidding! I can't wait. I'll put it o my calendar now. There is a guy in my office that totally has one of those mustaches that curl up on the ends. And he's like 45! !